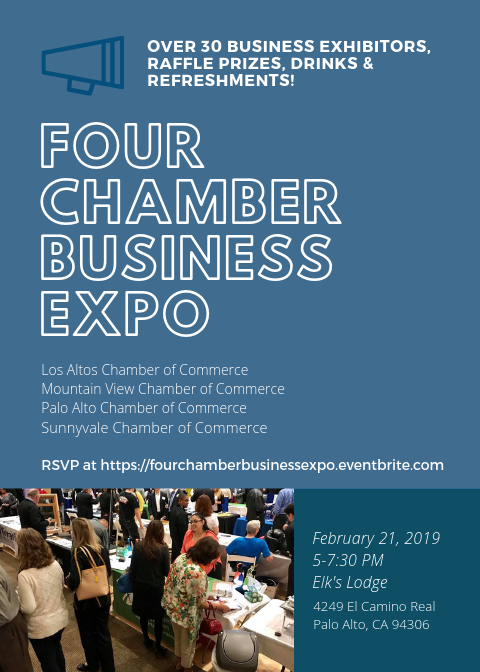 The Four Chamber Business Expo is back! This collaboration with Los Altos, Mountain View, Palo Alto, and Sunnyvale Chambers is one not to miss. One of our largest mixers with businesses exhibiting! Be sure to attend with plenty of business cards.